Ultra Korea will return in June, 2019 with an iconic lineup of superstars and DJs from all over the world. We welcome all the festival enthusiasts to enjoy this astonishing experience. 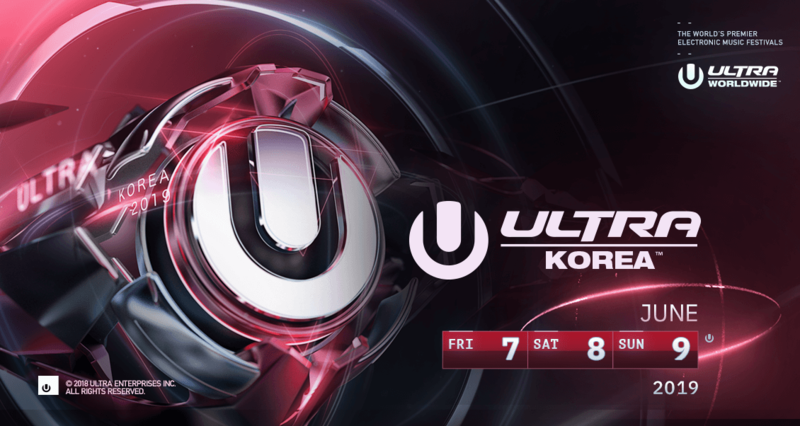 Celebrating its 8th anniversary – Ultra Korea will definitely quench your thirst for EDM! Grab your early bird ticket now for Ultra Korea before it’s too late! More information will be released soon. Stay tuned for the 2019 lineup via the official website, Ultra Korea Facebook Page or Ultra Korea Instagram! PREMIUM GA 3 DAY COMBO – Includes Premium GA ticket for 3 day(s) of access to Ultra Korea 2019 via the Express Entrance, exclusive bathrooms, bar, resting area, and a limited edition band. GA 3 DAY COMBO – Includes GA ticket for 3 day(s) of access to Ultra Korea 2019. More info will be announced soon. Please stay posted on our FaceBook page( https://www.facebook.com/FestGround/)! This event has an age restriction. You must be born before December 31, 2000 to attend the event. The box office will not release tickets or wristbands if the name on the ID does not match the name on the e-tickets. VVIP table services are available for this event. Limit 1 tickets per order.